For nearly three decades I have been defending people accused of committing crimes. I have spent thousands of hours in courtrooms arguing on behalf of my clients and listening to hundreds of criminal defense attorneys fighting for their clients. One of the more common motions filed and argued in criminal cases is a motion for the preservation of evidence. Judges typically allow these motions and direct the district attorney to reach out to the person or entity in possession of the evidence to make sure they don’t dispose of the item. 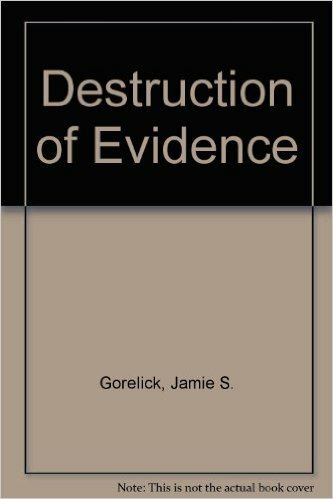 Unfortunately, all too often the evidence gets destroyed. 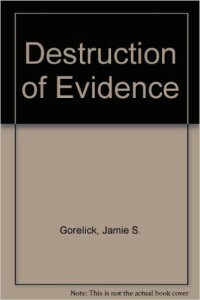 Destruction of evidence in criminal cases is usually deemed “inadvertent”. There is rarely a consequence to the prosecution. Perhaps now that is changing. Just a couple of weeks ago the case of Commonwealth v. Heath was decided. In Heath, the defendant was convicted of assault and battery on a police officer under G.L. c. 265 Section 13D and disturbing the peace, a violation of G.L. c. 272 Section 53. After the conviction the defense attorney moved for a new trial. That motion was denied. The Massachusetts Appeals Court reversed the conviction. Here are the facts in Heath. The defendant was arrested at a Haverhill hospital for disturbing the peace. During the booking process the defendant supposedly hit the arresting officer in the chest. The defendant was then dragged of into a cell. At trial the arresting officer admitted that recording devices were located in the booking room and that those devices would capture the entire booking process. He denied having access to the security video. Prior to trial the defense attorney filed a motion to preserve the booking video recording. It was never produced. By the time of trial it was determined that the recording had been destroyed. Consequently after the parties rested their case the defense asked that the jury be instructed on the prosecution’s failure to preserve this evidence. The judge refused to do so. Reversing the conviction the Appeals Court applied a two-pronged analysis to determine whether relief should be granted when evidence is lost or destroyed. First, the defendant has the burden of showing “a reasonable possibility…that access to the evidence would have produced evidence favorable to his cause”. Second, if the first prong is met, a balancing test is applied to determine the remedy to be provided. That test weighs the culpability of the prosecution, the significance of the evidence and the potential prejudice to the defendant. In this case, the Appeals Court made clear that the prosecution was in fact culpable for not preserving the evidence. The evidence was undoubtedly material as it could have showed that Heath did not hit the officer, or, as was contended by the defense, the officer actually hit him. The prejudice was also clear here. The destroyed evidence could have impeached the key prosecution witness. This case shows the importance of moving to secure evidence as soon as possible. It also highlights the importance of fighting for your client even after a guilty verdict. It is never too late to get justice for your client. If you are in trouble make sure you hire a lawyer as soon as you can. Protect your rights now by calling us at 617-263-6800 or send us an email. We can help you.